Currently I am over 2000 miles from St. Louis, however, I found a poem by Emma Lazarus I thought would be appropriate to share here. I life my lamp beside the golden door!" Below, however, is part of a series of sonnets she wrote, entitled: Symphonic Studies. Where love has entered, Death is also there. The cry of souls not to be comforted. And send the hot tears raining down our cheek. With its lone lilac-bush. O heart, be still! She will not rise, she will not stir nor speak. Surely, the unreturning dead are blest. Ring on, sweet dirge, and knell us to our rest! I've been inspired by others who do this to put together a weekly list of blog posts that I have found notable, and related to genealogy, in some fashion. Thomas MacEntee at Destination: Austin Family describes How to Make Your Blog Available to Amazon Kindle Users. Not only are Amazon Kindles for reading e-books, users can subscribe to blogs through them. And owners of blogs can make money from those subscriptions. Arlene Eakle heard Paul Nauta, Public Affairs Director for the Family History Library, give a speech on the past, present and future of the Family History Library, and she provides a summary. GoogleBlog announces the ability to Search Google Images by Style. Results for image searches can be restricted just to photographs, line art, clip art, or just images that contain faces. All the options are selectable through Advanced Image Search. The Missouri State Genealogical Association Messenger links to some tips on writing your life story. Lee Drew at FamHist describes how wearing Scottish tartans was banned in the 18th century. Two cool Christmas Eve photographs were posted. One from 1968, taken by Apollo 8 astronauts, was posted by Craig Manson at GeneaBlogie. 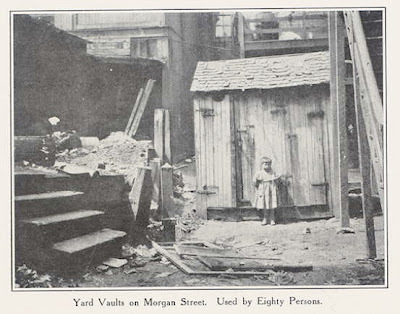 Another from 1898 appeared at Old Picture of the Day. Both ReadWritePoem and Totally Optional Prompts have weekly writing prompts - both with a deadline of Thursday. The creative juices still have a tendency to flow even while on vacation. This week's prompt at ReadWritePoem was Go Ancestral, which wasn't specific enough for me, since I think and write about my ancestry often. I needed a secondary prompt, which Totally Optional Prompts provided: Opposites. Happy Hanuka to all who celebrate. Last night was the first night of the holiday, and my family (parents, siblings, nephews, niece) celebrated in the Caribbean. It is now 1:45 in the afternoon - but still the first day of Hanuka - as like all Jewish holidays, it runs from sunset to sunset. I spent a couple hours at a beach - it's a nice way to celebrate. 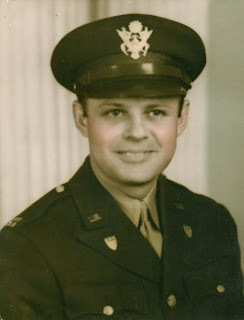 I don't expect to do much genealogy research over the next week - or much blogging - but spending time with the extended family often yields stories to preserve. It's time for the Carnival of Genealogy, and this issue's theme is: 3 Wishes! I believe I’ve been a good boy this year. I know some of these three wishes may be difficult ones to grant, and may be beyond your ability to produce, but I know they would make me very very very very very very very happy. Very. 1) The military uniform my great grandfather, Samuel Deutsch, wore while he served in the Austria-Hungarian army of Emperor Franz Josef from 1881-1907. 2) If I am correct about the origin of the surname, a dudelsack (bagpipe) constructed or played by a Dudelsack ancestor. 3) The copy of Les Miserables that my mother tells me was on my grandfather’s bookshelf. He moved to a retirement home before I became a fan of the novel and author, and most of his books were given to Goodwill. 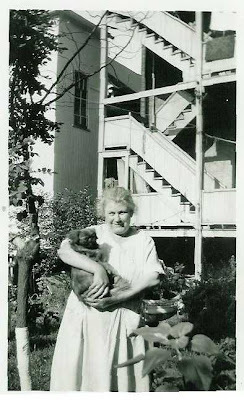 4) Photographs of my second great grandmothers: Annie Perlik Feinstein, Bella Wyman Blatt, and Sarah Hartley Denyer Foster. I am trying to be realistic here, as there are others I am missing photographs for, but I know photography wasn't really existent until the civil war, and wasn't really common until the late 19th century. Annie Perlik Feinstein lived until 1930, there's got to be a photograph of her somewhere in some cousin's collection. Bella Wyman Blatt died in approximately 1892 in Poland, but there are some photographs of some possible cousins. Sarah Hartley Denyer Foster lived until 1898 in Texas. Yes, I know I went over 3 wishes, Genea-Santa. That will give you more of an opportunity to fulfil some of them. Since many fellow genea-bloggers are getting into the spirit of the holiday season with lots of festive posts, here is a series of 8 posts I posted last year on my non-genealogy blog. I rewrote the lyrics to 12 Days of Christmas, removed four verses, and for each post included a video from YouTube with another song for the holiday of Hanuka. I also included some notes on my song choice, and on Hanuka itself. Three of the songs I mentioned yesterday are there, plus several others. Minnesota marriage database with ability to order certificates online. Dates indexed vary by county. Some go back to the 1870s, and some are up to current. I found a few individuals with my favorite surnames, but I am unsure of their relationship. The FootnoteMaven has set December 12th as Blog Caroling Day. Yes, even bloggers have traditions. From the comfort of my blog, with Hot Toddy in hand, my flannel jammies and furry slippers on, I will blog my favorite Christmas Carol on Friday, December 12. So my fellow GeneaBloggers, I challenge each of you to blog your favorite Christmas Carol - Blog Caroling. We'll all sing along! 2) The Leevee's "How do you spell Channukkahh?" 3) Tom Lehrer's "Hanukkah in Santa Monica"
And my favorite Christmas Carol, which I have difficulty listening to without crying. 5) Skip Ewing's "My Name is Christmas Carol"
Randy at Geneamusings had Census Fun with Christmas Names, and I realized something. In my recent post about Canadian Ancestors a few people revealed themselves as cousins in the comments. So under the possibility they are reading my blog, I thought I would post for them an ahnentafel of the information I have for my ancestor, Andrew David Van Every, whose maternal grandfather was loyalist Michael Showers. If they (or anyone else) know any further information, I would certainly be interested. 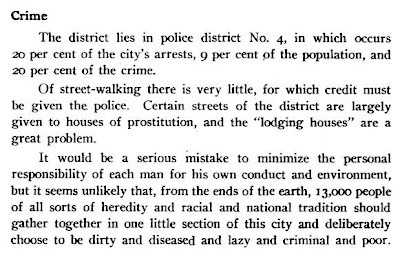 The below information comes from the New Toronto Historical Society, though much of it I have seen elsewhere. contains a large digital archive of artifacts related to the American Bottom region, defined as the area south of the confluence of the Missouri, Mississippi and Illinois rivers. This includes portions of St. Clair, Randolph, Madison, and Monroe Counties in Illinois. Most of the information on the site appears to be centered on the Cahokia Mounds, and East St. Louis. The site has moved to a new location on the University of Illinois at Urbana-Champaign's servers, and while they still have an interesting archive, it appears they have removed the East St. Louis City Directories. Never fear, Illinois Harvest, a product of the UIUC library, has them. 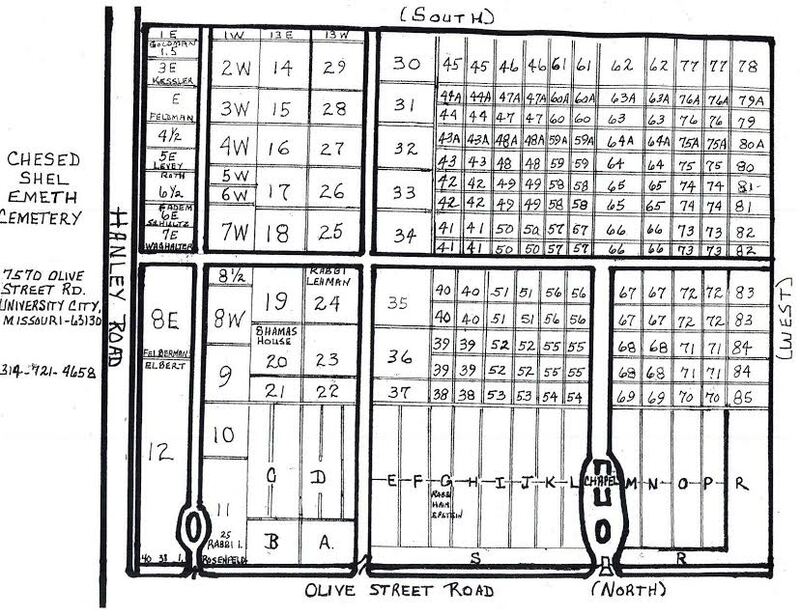 Illinois Harvest has a large digital book collection for download, including over 400 entries under the subject header of County and Local Histories, another 400 under Church and Congregational History in Illinois, and 125 under Genealogy Resources. The latter includes the 1813 and 1818 Pension lists, listing everyone in the US receiving a military pension in the given year. As well as a couple dozen Chicago "Blue Books" and social registers. A Family History/Genealogist actively tries to sort out truth from 'family fictions.' But what exactly does 'Truth' mean? 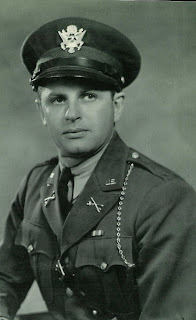 I have a couple examples from the family of my great grandfather Barney Newmark's brother Sol. Sol and Sarah Newmark were married in 1902 in London. What was Sarah's maiden name? 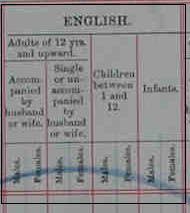 Looking at the marriage certificate, UK 1901 census, various birth and death certificates of herself and her children (I don't have her birth record) It's roughly 50% Sandler and 50% Nathan. The origin of the confusion is clear - her father's name almost undoubtedly was Nathan Sandler. Sometimes she utilized the religious tradition of adopting her father's given name as her maiden name (without using the 'daughter of' construction). She wasn't consistent though, and it's not as if prior to Year X she used one, and after Year X the other, it went back and forth, even when she was the informant. She had two maiden names, neither one more truthful than the other, and which one she gave to those who asked must have depended upon her mood. 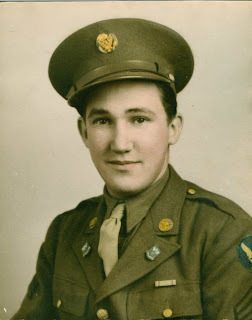 Sol and Sarah's oldest son, born in 1905, was named after Sol's deceased grandfather, Israel David Nejmark (believed to be the original Polish spelling of the surname). 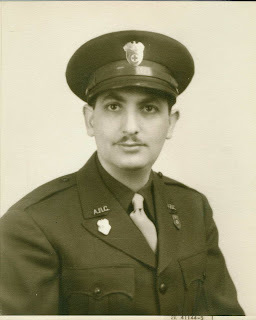 Sol's youngest brother, born in 1904, was also named for the same man. So there was an uncle/nephew one year apart in age named Israel David. Or was there? I just retrieved the birth certificate of Sol and Sarah's son. It reads "David Israel". The inversion could easily be a clerical error. However, there is a Jewish superstition against naming children after living relatives, so there may have been reason for them to avoid giving him the exact same name as his 1 year-old uncle. If the names were intentionally inverted on the birth certificate, I have no reason to believe their son was ever referred to in that manner by family or anyone else his entire life. The superstition was that the angel of death could get confused and come for one and take the other. But even if we assume that there was no clerical error on the birth certificate, and they intentionally gave him an 'official' name different from his uncle, if the 'official' name was never actually used by the family, is it still the 'true' name? Wouldn't the name he was called by everyone his entire life be the 'true' name? Barney was born in Poland on March 17, 1886, or so he always told everyone, including his family (at least when he wasn't claiming he was born in Ireland). On his Draft registration form, and on his death certificate with his wife as the informant, it says April 14th. On his Declaration of Intent to become a citizen he wrote March 25th. So minus a birth certificate, what is Barney's true birthday? This explanation connects all three dates of birth in a very logical fashion. It isn't necessarily true. But it is very intriguing. As the Genealogue points out the UPI's headline for an article on Michelle Obama, "Future First Lady had an Illiterate Ancestor" is a little unfair. Every first lady in the history of this country probably had an illiterate ancestor. I suspect the UPI may have thought "great great grandparent" was closer than many. However, I will point out that several of my paternal great great grandparents would likely have been recorded as illiterate, since they didn't know English. 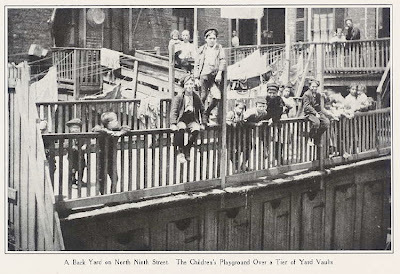 They may have been literate in Yiddish, or other tongues, but not English. My maternal great grandparents from Transylvania were similarly 'illiterate'. That is often the case with first generation immigrants to America, unless they come from an English speaking country. The original Chicago Tribune story had a more appropriate headline. A first lady closely descended from slaves is newsworthy. Randy Seaver at Geneamusings asks Who's Number 1000? That is: Who was the 1000th person entered into your family history database. Most databases, being number-based, assign every entry a number starting with #1. My software, IFamilyForLeopard, is no different. If you click on the pull-down menu in the searchbox in the upper-right of the screen you can select "Numeric ID" and then just enter the Numeric ID of your choice. I don't know a lot about #1000 who is only recorded as "Kathryn". I found it interesting to work backwards and see what # entry I was (45). Some people likely start entering data with themselves, but the first person entered into my database was my second great grandfather, Samuel Newmark. The most recent entry was #1395, who is a living 3rd cousin, grandson to a cousin who passed away approximately 2 weeks ago. Olive Tree Genealogy raises the topic of nicknames that aren't derived from given names - how we can't assume "Uncle Charlie's" name was actually Charles. She asks others to contribute similar occurrences in their family tree. My grandmother Sissie (Feinstein) Newmark was born "Belle". It's not too difficult to guess that one of her brothers gave her the nickname that stuck with her the rest of her life. Equally obvious in its etymology, her younger brother, Seymour, was known as "Babe." There were actually two Seymour Feinsteins known as Babe, first cousins to one another, both youngest childs. A related topic are nicknames that are derived from the given name, but in a manner that isn't immediately obvious. I went into detail on this in my post on Jewish Mysticism and Genealogy. One ancestor was named Zvi Dudelsack. 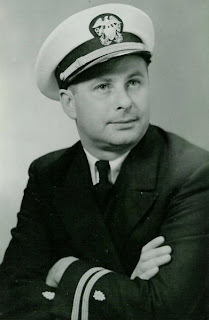 He never immigrated to America, but his children passed his name down as "Harry". Another ancestor was named Zev Perlik, and some of his descendants knew him as "William." You have to be multilingual to follow the etymology, but if the Royal Family were Jewish, it would not be surprising if Prince Harry and Prince William had the Hebrew names of Zvi and Zev. "So, Dad left when he found out about Mom and the Panda." For round about you there are men less fortunate than you. The soft caresses of your babes and all their laughter sweet. I want to talk about a holiday filled with conflicting emotions. This is a holiday that remembers our ancestors’ religious persecution. This is a holiday that commemorates freedom and hope. Celebration of this holiday involves food, prayer, games, and family gathered. This holiday requires us to close our eyes, temporarily, to the facts. This holiday requires us to forget, for the moment, what happened afterward, in the following generations. We focus on the freedom, the hope, the opportunity, with the albatross of that same opportunity squandered hanging over our heads, but not welcome at the holiday table filled with food, family, and festivities. I probably should wait to talk about this holiday, since it doesn’t begin for another 3.5 weeks. Hanuka begins on December 21 this year. However, in the year 164 BCE, when Mattathias, his sons, and their followers fought back against religious persecution, the month on the Roman calendar was November. On Hanuka we will focus on the freedom, the hope, and the opportunity, just as we as Americans do on Thanksgiving. We need to teach our children what happened next, so they aren’t blind to the forces of history, but that can be done on a different day. It doesn’t need to weigh us down on a holiday meant for celebration. 4. a. U.S. Hist. Usu. in plural and with capital initial. Any of the English Puritans who founded the colony of Plymouth, Massachusetts, in 1620; (gen.) any of the other early English colonists. See also Pilgrim Fathers n. at Compounds 2. In quot. 1630, William Bradford (the second governor of Plymouth) uses pilgrim of the settlers figuratively, alluding to Hebrews 11:13 (cf. sense 3). The same phraseology was repeated by Cotton Mather and others, and became familiar in New England. By the late 18th cent. commemorative toasts were often given to the Pilgrims or the Sons of the Pilgrims, and through such celebration Pilgrim and Pilgrim Father eventually passed into use as historical designations. 1630 W. BRADFORD Hist. Plymouth Plantation 36 They knew they were but pilgrimes, & looked not much on those things; but lift vp their eyes to ye heauens, their dearest cuntrie. 1654 E. JOHNSON Hist. New-Eng. 216 Yet were these pilgrim people minded of the suddain forgetfulness of those worthies that died not long before. 1660 in Publ. Colonial Soc. Mass. (1914) 17 366 [New Haven colony] bounds extended neare unto Cold Spring, beyond Pilgrims Harbour. 1702 C. MATHER Magnalia Christi II. i. 3/1 They found..a new World..in which they found that they must live like Strangers and Pilgrims. 1794 in Publ. Colonial Soc. Mass. (1914) 17 366 Toasts on the occasion, viz..The Pilgrims in Concord. 1841 A. YOUNG Chron. Pilgrim Fathers 88 The term Pilgrims belongs exclusively to the Plymouth colonists. 1892 Nation (N.Y.) 21 Apr., What shall we say to the descendants of the Pilgrims, and the Signers,..who are happy and content under his sway? 1957 Encycl. Brit. XIV. 101/2 The Betty lamp of the Pilgrims (1620)..was equipped for hanging from mantelpieces or shelves. 1987 N. BLEI Neighborhood xxii. 146 Thanksgiving was as gray as the clothes the Pilgrims wore. Note: The link at the top of this post will take you to the page with the complete entry for the current date. It changes every day, though. There is a link in the upper-left though for those who wish to subscribe via email or RSS feed. I missed the first edition of the Canadian Genealogy Carnival back in September. My entry for the second edtion will actually be appropriate for both topics. First Edition: Introduce us to your Canadian ancestors. Second Edition: Tell us about famous Canadians in your family. Michael Showers' daughter, Sarah, married David Van Every, the son of McGregor Van Every, another early Loyalist settler of Niagara. David and Sarah Van Every were my 4th great grandparents. Their son, Andrew Van Every, lived and died in Canada. Andrew's son, Samuel, returned to America in the mid-19th century, though he had siblings and cousins who remained in Canada. Does First Loyalist Settler of Upper Canada qualify as a 'famous ancestor?' Some might accept it. Others might ask for some broader name recognition. In that case I need to move away from direct ancestors, and toward the Stoughton Descendants I've blogged about before. If I need a famous cousin, that will always be a good place to start. Through my Stoughton ancestry I am related to the Marquesses of Dufferin. While this is an Irish peerage, it began with Frederick Hamilton-Temple-Blackwood, 1st Earl of Dufferin, 1st Marquess of Dufferin and Ava, who served as Governor General of Canada. Lord Dufferin served as Governor General of Canada during a period of rapid change in Canadian history. During his term, Prince Edward Island was admitted to Confederation, and several well-known Canadian institutions, such as the Supreme Court of Canada, the Royal Military College of Canada, and the Intercolonial Railway, were established. I will assume that satisfies any definition. I am as proud as any American can be of their United Empire Loyalist heritage. As I like to point out, there is nothing wrong with loyalty. It is usually the loyal who are considered patriotic. The Revolutionaries were the ones who committed treason. Of course, when the treasonous are successful, they get to write the history and instantly they become the patriots. I also have some Newmark ancestors who were in Canada for 3 months in 1907. LIFE magazine has released millions of their photographs on Google Images. It should be noted that while they say they will continue to add more photographs, the earliest decade currently in the archive is 1860s. The first successful photograph supposedly was produced in 1827. Therefore, I think the above contains an obvious typo. The question might arise -- are any of these photographs in the public domain? Let's take a look at this chart by the Cornell University Copyright Information Center. My assumption is that all the photographs fall under the category of Works for Hire - the company of hire being LIFE. According to the description, most of them were unpublished. So prior to their publication this week on Google, they had a copyright of 120 years from creation. Therefore, on January 1, 2008 any of the photographs dated prior to 1888 were in the public domain. I am fairly certain once a work enters the public domain, that isn't retracted. However, all the post 1888 photographs are now published. And published works for hire have a copyright of 95 years after publication. So it is quite understandable why LIFE went along with Google's idea of publishing all these unpublished works. If I am correct, it extends their copyright significantly. But the currently 100-200 pre-1888 photographs are in the public domain. A year ago I wrote a summary of what I had spent retrieving documents. One section was devoted to the UK General Register Office, from whom I had obtained several birth certificates and a marriage certificate. Each certificate cost 7 pounds, and last year the rate of exchange was 2 dollars = 1 pound, so that was $14 apiece. The rate of exchange is back down to $1.50 per pound. Most of this drop has occurred within the past 90 days. So now could be a good time to make purchases from the GRO and UK National Archives. 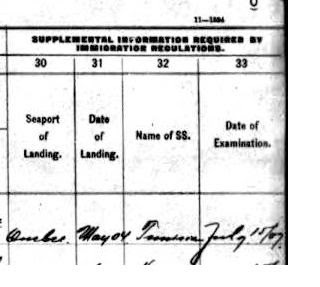 For the past year I believed my Great Grandfather, Barney Newmark, and his father Samuel Newmark, traveled from England to Canada in May of 1904, spent three years in Canada, and then crossed the Canadian border into the US in July of 1907, returning to England in 1908, delivered good news, and the family permanently immigrated to the US in two trips in 1909 and 1910. It comes from the Canadian border crossing document from July of 1907. The month/year for their arrival in Canada is pretty legible, I think. I realize that 4s and 7s can look alike, but we have a 7 in the same hand two boxes over, so I was pretty confident Samuel and Barney spent three years in Canada, though I knew I wouldn't know for certain until I found the documentation. I also wondered if I would ever find any footprints of where they went and what they did in Canada during those three years. Today I found their Canadian manifest in the Canadian Passenger Lists database (1865-1935) on Ancestry. They arrived in Quebec on May 11, 1907. The ship was the Tunisian. They only spent two months in Canada. They probably left very few Canadian tracks. I now have all the manifests documenting all their ocean travels and border crossings except for how they got from Poland to England in approximately 1893. 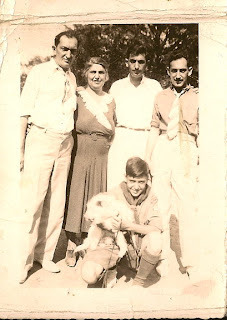 Mandell (1923-1945) and Melvin (1912-1992) Newmark; Martin Deutsch (1907-1991); Allen Deutsch (1914-1988); Jerry Deutsch (1909-1950). This isn't a complete set of great uncles who served, as there are others for whom I haven't found appropriate photographs yet. 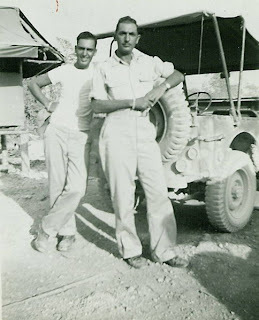 My grandfather wasn't stationed with his brother, Mandell, but they had a couple chances to be together on leave during the war. Smile for the Camera: Oh Baby! Above are baby photographs of three of my four grandparents. My maternal grandfather was born in rural Transylvania, and I suspect they didn't have a camera. 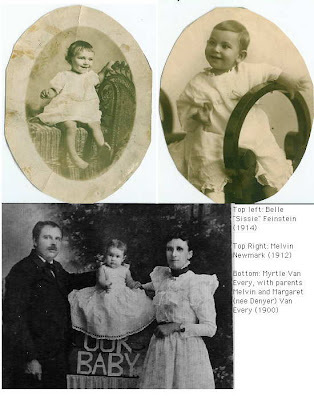 The top two photos of my paternal grandparents were taken in St. Louis. (Most likely Missouri, though my grandfather's maternal grandparents were living in East St. Louis, Illinois at the time.) My maternal grandmother's baby picture was most likely taken near San Marcos, Texas, which is between Austin and San Antonio. Chesed Shel Emeth means "Kindness of Truth." Celebrating their 120th year, the Chesed Shel Emeth Society was founded on November 3, 1888. A Chevra Kadisha, it was a burial society originally unattached to any particular synagogue. After successfully opening the cemetery, a process that took about five years, the Chesed Shel Emeth Society later built a hospital, a senior center, and an orphanage. From 1919-1996 they had their own synagogue. In 1967 a second cemetery was opened in Chesterfield, MO, and that is where the main offices are now located. If all you want to do is visit the grave of an ancestor, the indexes and map below should be sufficient to guide you. However, keep in mind that their main offices are at the newer of the two cemeteries. You may not find someone to answer questions you might have if you just show up at the original cemetery. When you enter the main entrance off of Olive Blvd you will pass a small chapel. 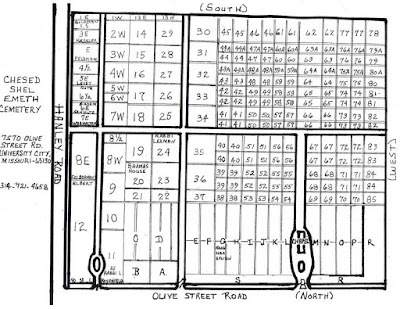 There is a map of the cemetery in front of the chapel (photograph of the map below). It is best to park on the side of the road, just beyond the chapel. 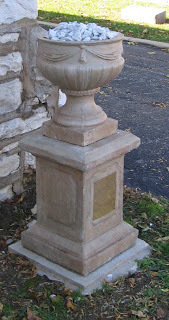 The St Louis Genealogical Society has indexed Chesed Shel Emeth cemetery by section. You can also search a database of seven Jewish cemeteries in the area, including Chesed Shel Emeth. Either index or database will provide you with the section number, and the map is fairly straight forward. It is traditional to leave a stone on the marker of a loved one. Some will light a candle and say a prayer. There are stones available at the front entrance for those who forget to bring some. Below is a satellite map of the cemetery. In conjunction with the US election on November 4th, the topic for the 59th edition of the Carnival of Genealogy is: Politics and Our Ancestors. While he may have been the most recent direct ancestor to entangle himself in local affairs by actually holding office, politics are of great interest to my family, in all branches, and have been for generations. Getting involved in political parties, campaigns, protests, internships on Capitol Hill, voting in every election, and freely and eagerly voicing our opinions, are things my siblings, parents, aunts, uncles, cousins, and grandparents have done. I suspect apathy is foreign to my genes. During the summer of 1990 I interned on Capitol Hill for Congressman William L Clay of St. Louis. Mostly I opened and helped respond to constituent mail, though I also proofread a couple chapters of one of his books. I also worked two summers at the St. Louis County Election Board, and helped Gephardt campaign in Iowa in 1987-8 while I was attending college in Grinnell, IA. 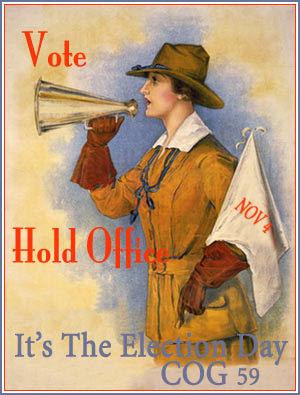 I will be standing in line to vote at 6 am on the morning of November 4th. And then I went on and talked about how I hoped to obtain access to the international edition of Ancestry so I could see if my Newmark ancestors' arrival in the UK from Poland was in there. I'm not sure how I missed "from foreign ports outside of Europe." As I've written before, my Newmark ancestors did a lot of traveling in the first decade of the 20th century. Likely in 1904 my second great grandfather, Samuel, and great grandfather Barney traveled from London to Quebec. In July of 1907 they definitely crossed over into the US, and those documents suggest they arrived in Quebec in May of 1904, though I have been unable to find backup for this. I knew that sometime between July of 1907 and October of 1908 they returned to the UK, and in October of 1908 they returned to the US with another of Samuel's sons, Sol. The rest of the family followed in March of 1909. So while I still don't have a date for when they arrived in the UK from Poland (estimated in 1893), I did make a trip to the St. Louis Genealogical Society offices this weekend and using their computers found Samuel and Barney's return trip from the US to England on June 21, 1908. Barney and Samuel had lived in England for at least ten years prior to traveling to North America, and the rest of their family still lived in England, so it's logical they would be treated as British subjects. They also had to have made a return trip around this time, so I am fairly certain that this is their passage. 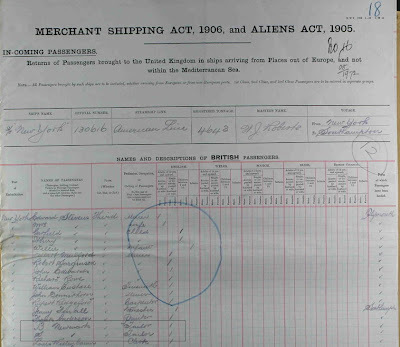 Ancestry.UK yesterday added incoming passenger lists (1878-1960). My second great grandparents Samuel and Rose Newmark immigrated to England from Poland at some point in the early 1890s with their four eldest children: Sol, Barney, Nellie and Morris/Moses. I don't have an international subscription, but with my US subscription I was able to search for my surname, and while they don't allow you to access any other details, they do provide the names and ports of entry. There are several Samuels, one Rosie, one Nellie, and a couple Morrises. No Sol, and no Barney, but there is a B. Newmark. Enough to suggest their records might well be there. I believe the St. Louis Genealogical Society office has a full subscription, so I will visit them this weekend and see what I can find. A week ago the mother of a good friend passed away. The family didn't want a crowd at the funeral so my friend was quiet for a week. While I would have respected her family's wishes, I would have liked to know. There was an obituary, but I don't read the obituaries daily, so I missed it. 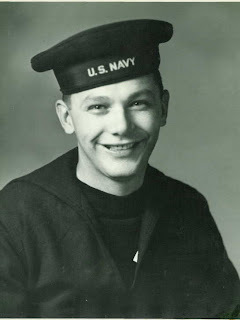 I have heard several of my parents' generation remark that they read the obituaries daily, but I haven't felt the need. I'm realizing I'm now old enough (turning 40 in January) that perhaps I should be too. I don't subscribe to the local newspaper. I gather my news online. I can read the St. Louis Post Dispatch obituaries online, but that requires me to make a special effort to visit the website daily, and I am sure I would miss days. There are only two ways I would be certain to see all obituaries in a timely fashion. If they were emailed to me, or if they appeared in my RSS newsreader. Legacy.com handles the obituaries for many newspapers - including the St. Louis Post Dispatch. They have an email service called ObitMessenger. For $200 a year you can get every obituary with any keyword anywhere in the text (up to 5 keywords, and extremely common words not permitted.) For $15 per year you can get up to 5 keywords for one newspaper. They call these their Custom Keyword Packages. That's nice, and has its uses. I might consider their Genealogy package for a few of my surnames someday. However, at this moment all I want is every obituary for one newspaper. Luckily, I discovered on the Post Dispatch website that they do offer an RSS feed. I suspect not every newspaper does. Today I've added another feed to my newsreader, and I won't miss another obituary. Bill West has tagged me in a meme that has been traveling quickly around the genea-blogosphere. For those of you who don’t know me, this provides a list of facts that when combined may say a lot about me. 5. Finish writing my response to this meme. #3 has never provided me with a steady paycheck. I think my earnings still fall in the double digits. Total. For over 10 years. I need to work on increasing it. Like so many memes, I’m supposed to tag five more geneabloggers to answer this. I’ve tried to name five who haven’t responded to this meme yet, however, it’s possible I’m tagging someone who’s already been tagged by someone else, as this meme has been traveling around. I really ought to wait 6 days before posting this, but I'll post it today anyway. The FootnoteMaven has a post on Nursery Lore and what it means if you are born on ___ day of the week. Monday's child is fair of face. Wednesday's child is full of woe. Friday's child is loving and giving. She has even more details for each day of the week, as the poem only tells a fraction of some of the superstition and lore. She then asks others to reveal what day of the week they were born on. I, like the FootnoteMaven, was a Tuesday child. I, too, am not full of physical grace. I am somewhat clumsy actually. Nor do I consider myself wealthy, solemn or sad, other attributes attributed to Tuesday children. I have a tendency towards optimism and mirth. The word, Tuesday, comes from the Norse god of Combat and Heroic Glory, which are also far afield from my personality. However, I come from a different tradition than the traditions that likely sparked this poem. In the Jewish tradition, Tuesday is an auspicious day of the week. Some say 'lucky' though Judaism doesn't really teach that luck exists. Ask most, and they will tell you that G-d "saw that it was good" each day of the first six days of creation. That's not true. (Follow the link above, and read the actual text. You will see I'm right.) On the first, fourth, fifth and sixth days, He did so. On the second day He said nothing. On the third day, He said it twice. The day G-d was silent was the first Monday, and some suggest that is why few people like Monday. Tuesday was when G-d spoke twice, blessing the day twice. And that is why it is considered auspicious. And maybe that is why I have a tendency towards optimism, and a desire to make myself and others laugh. 270 Digital Libraries organized by state. Hundreds of libraries and archives exist online, from university-supported sites to individual efforts. Each one has something to offer to researchers, students, and teachers. This list contains over 250 libraries and archives that focus mainly on localized, regional, and U.S. history, but it also includes larger collections, eText and eBook repositories, and a short list of directories to help you continue your research efforts. Digital Past "The North Suburban Library System offers a treasure trove of photographs, postcards, diaries, oral histories, documents, movies, interpretive exhibits, and other historical materials from libraries, historical societies, museums, and other cultural venues throughout Illinois. " American Journeys "This site contains more than 18,000 pages of eyewitness accounts of North American exploration, from the sagas of Vikings in Canada in AD1000 to the diaries of mountain men in the Rockies 800 years later." Today, October 15, is Blog Action Day. "Blog Action Day is an annual nonprofit event that aims to unite the world’s bloggers, podcasters and videocasters, to post about the same issue on the same day. Our aim is to raise awareness and trigger a global discussion." The theme for 2008 is Poverty. I am going to "copy and paste" several clippings from the report straight into this post as it is certainly easier than transcribing or rephrasing, and the images should be readable. As the report states, "It is useless to try to add anything to the force of such figures as these." 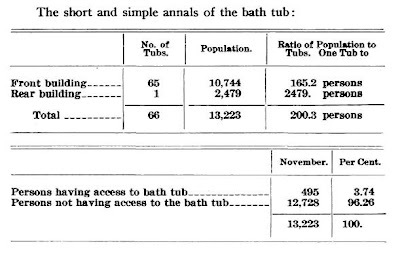 As one might expect, the majority of tubs were in the apartments of the building owners. 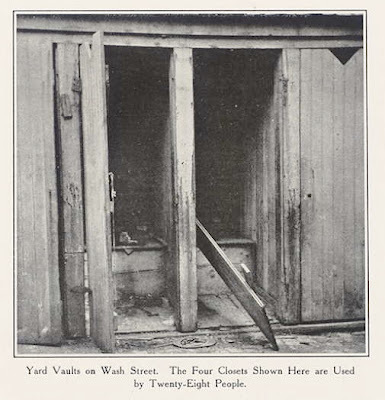 A lot of space is given in the report to the conditions of the Yard Vaults, since toilets were a new innovation and rare. Another factor the report considered was the overcrowding situation. They compared the neighborhood to a similar report Chicago had conducted. 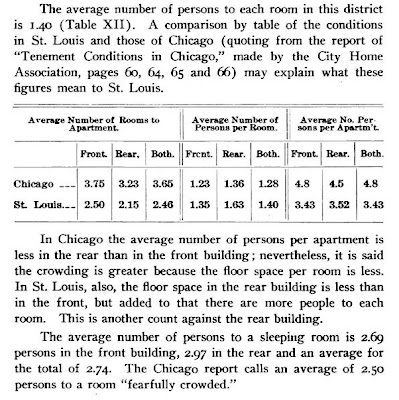 Housing conditions in St. Louis City have improved greatly in the past 100 years. 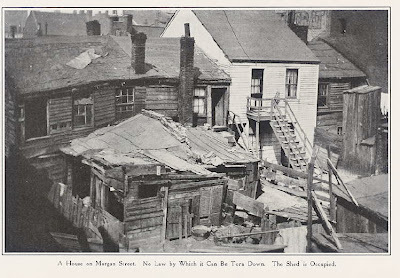 However, I have heard people over the years, when comparing the situation in today's inner cities to the situation in the tenements, to focus a lot on crime. There is a sense that things are different today. Understandably, many of the posts for Blog Action Day will focus on what it means to be poor today. Author, John Scalzi, had an excellent blog post three years ago on that topic: Being Poor. The Blog Action Day site had a list of resources for those interested in fact sheets, statistics, and suggestions on what can be done to alleviate poverty around the world. Your mother told you she was ½ Choctaw and ½ Cherokee. Your father told you he was ½ Choctaw. You are in front of a bunch of judges and they start asking you questions, and they want to know what your percentage of Choctaw blood is. What do you tell them? Reading through the testimonies my great grandmother, her half-sister, six cousins, and her uncle provided to the Dawes Commission, one thing remains constant. None of them understood fractions. Fractions can be difficult. There were eight testimonies delivered in November of 1900. And my previous post on my Choctaw ancestry was based on reading through those eight testimonies. Another search turned up one more testimony delivered a year later. Samuel T Hartley, the brother of my second great grandmother, Sarah Hartley, brought another daughter of his before the commission. She was completely flummoxed by the questioning, and while it doesn’t say it, I suspect she was close to tears by the end. Her responses were all over the place, and it was clear she was very confused. Her father was present though, and was called to the witness stand. His testimony didn’t directly conflict his testimony of a year prior, but he was asked slightly different questions, which led to more information. In 1900 he had been asked whether he claimed his Choctaw heritage from his mother or father. His response was ‘father’. (It should have been ‘both’ but maybe he thought from the question he had to choose one.) The next question was how much blood his father had, so he had responded ½, and from that the Commission told him he would be ¼, and he accepted that. If the 1901 testimony is accurate, his mother claimed to be 100% Native American, half Choctaw, half Cherokee. And since she would be my mtDNA ancestor, taking the test might actually solve this question for my family. If my second great grandmother was ¾ Native American, then I am 3/64, which is getting higher and higher as I continue doing research. A year ago I thought I was only 1/128. Here are the people named in the nine testimonies I have downloaded from Footnote, and their percentage of Native American DNA assuming the testimony given by Samuel Hartley in 1901 is accurate. 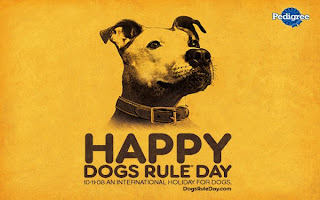 Today is Dogs Rule Day. 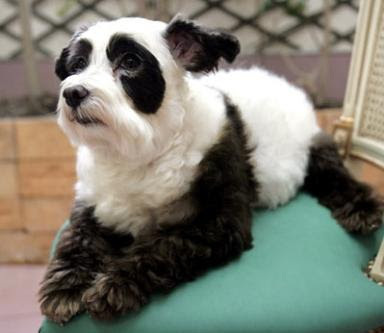 Created by Pedigree dog food, it is an "International Holiday for Dogs". If anyone deserves their own holiday, it's dogs. So let's celebrate our best friends and recognize their contribution to the quality of life on earth. All we have to do is give our own dogs a little extra love, share our stories and pictures with friends, and do a little something extra to make the world a better place for dogs. I posted back in June several photographs of dogs I have known over the years. Here are a couple I never knew. Choo-Choo was the best friend of my great grandmother, Helen (Lichtman) Deutsch. Here they are at their address on Mozart Street in Chicago, IL. This is a photograph of my great grandparents Barney and Bertha (Cruvant) Newmark, with their sons Melvin, Harold and Mandell. Mandell appears to be holding a dog, unfortunately, no one knows his/her name. 2 Give an extra minute of bellyrubs in the morning. 3 Play fetch 'til your arm falls off. 11 Give her the other half of your sandwich. Just this once. 15 Hire a bus. Allow her to catch it. 17 Bark with her at the postman. 28 Donate some blankets to your local shelter. 36 Sing him a song. Maybe wear a costume. 38 Post flyers for the local dog shelter. 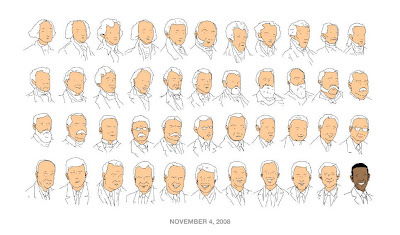 45 Get a tattoo of him. 58 Start or support a local spay/neuter program. The word prompt for the 6th Edition of Smile For The Camera is Funny Bone. Show us that picture that never fails to bring a smile to your face! An amusing incident, a funny face, an unusual situation. 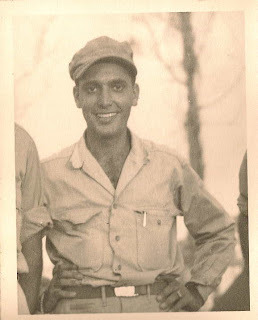 This photograph is of my paternal grandfather, Melvin Newmark. 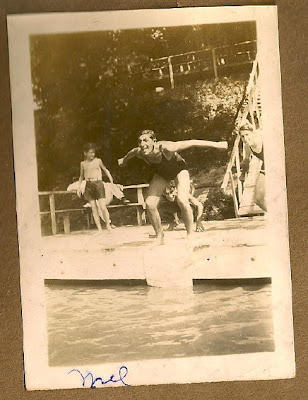 It was taken approximately 1930 just at the right moment before he dived off what looks like a lake dock. There's a good chance he was in the "Lake of the Ozarks" area of Missouri. 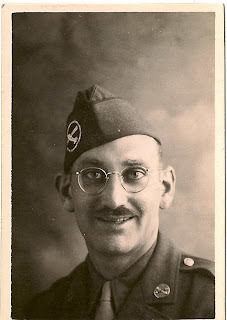 I believe the photographer was "Sissie" Feinstein, who would ultimately become my grandmother. The photograph was in her scrapbook. I don't know who his friends are. They appear to be having a lot of fun. Approximately 10 days ago would have been my great grandmother, Bertha Cruvant's 121st or 122nd birthday. As I posted in my weekly list of upcoming family events, I don't know what her birthday is on the Gregorian Calendar. I only know her birthday on the Hebrew Calendar, as she was born on Rosh HaShana, the Jewish New Year. The Gregorian date depends upon what year she was born, which is unknown. Her family used the Gregorian/Civil calendar for most events, so we know the Gregorian birthdays for all her siblings. However, since her birthday fell on a religious holiday, that was the date remembered. As her birthday approached it occurred to me: I wonder which of my relatives share birthdays or anniversaries on the religious calendar? I wondered how I would go about figuring this out. Two people born on Oct 7th, 2008 and Sept 18, 1999 would actually share the Hebrew birthday of 8 Tishri, but I have recorded the Hebrew dates for very very few events in my database - and in those cases the only place to record them has been in the notes. There are online calendar converters that can convert between the two calendars, such as the one at hebcal. However, I'd have to go through every event in my database, plug it into the conversion program, and enter the results in an excel table or something. That would take a long time, and I figured this was the perfect thing for a software program to accomplish. I searched for some online, but was unable to find anything for the Mac. The only genealogy software I could find that probably can accomplish this is Dorotree. However, there is no Mac version, so I haven't been able to test it. One of the reasons I like my genealogy software, IFamily, is that it isn't a product of some huge company that releases (pricey) updates once-a-year on average. The developer is continually releasing (free) updates, and continually soliciting suggestions for new features. So I posted the suggestion in the forums that the On This Day feature that currently allows one to see all the events that occurred on a single day be modified to generate a list for a Hebrew date. Have the software convert all the dates for me, and see which ones match up. The newest version now does this. [Version 2.464 / It isn't released yet, but can be requested.] 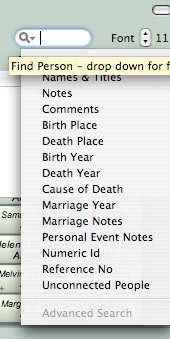 Once again, I am not aware that any other genealogy program for the Mac has this feature yet. If one does, let me know in the comments. Now I know that in addition to being the birthday of my great-grandmother, Rosh Hashana (Tishri 1) is also the anniversary of the death of my great aunt, Thelma (Malpe) Newmark (Sept 18, 2001), and the birthday of my second great uncle, Abe Gold (Sept 19, 1895). 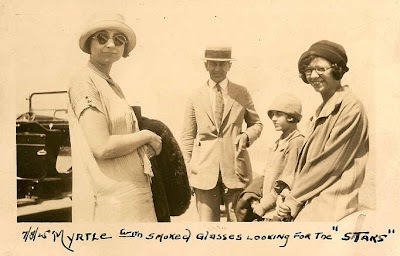 Today, Tishri 10 (the Jewish holiday of Yom Kippur), is the birthday of my 2nd great-aunt Blanche Blatt (Sept 28, 1887), and is also among other events the 4th birthday (Sept 25, 2004) of the daughter of a cousin of mine, though I intentionally don't name living relatives on my blog, and have erased the names associated with the recent events in the image below.